The Malawi music industry has unearthed talent that has made a mark and in the process their respective products and branding have indisputably changed the outlook of the country’s music. Onesimus (otherwise known as Armstrong) is one finest R&B/Pop vocalist who in this generation has put out refreshing music that has impressed not only his peers but the older masses inclusive. A Christian R&B/Pop singer who has pushed his way to become a part of the music history in Malawi and probably the southern part of Africa, Onesimus is one artist who is blessed with writing and singing skills. Born Armstrong Kalua (April 29, 1989) in Blantyre, Onesimus started his career as a dancer with God Soldiers Dancing Group (G-Soldiers) and won the Sprite Dancing Competition in 2006 under the name Armstrong. After discovering he could rap in 2008, he joined a group called BBM Clique (Blessed Beyond Measure). They released a couple of famous tracks like “By My Side” and “Random Thoughts”, before he went solo to start working on an unreleased hip-hop mixtape called “Beyond Limits”. He switched from rap to singing in 2010 and a year later he released two singles namely “Beautiful” featuring Malawi’s award-winning rapper Young Kay and “Without Your Love”, which put him in the limelight soon as they hit the airwaves and won him a record deal with the country’s top record company, Nde’feyo Entertainment. In 2012, he released a pure R&B mixtape called “BrB”, which comprised the two debut singles as well as other noteworthy songs such as “Hey Shawty” and “In Love with a DJ”. 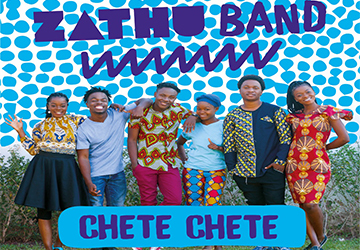 The multi-talented singer-songwriter and dancer took Malawians by surprise after he released two Chichewa Afro R&B songs titled “Sinditha Kumvetsa” and “Ndamusowa” which took Malawi by storm and topping most local charts. These songs made him a force to reckon with and everyone wanted a piece of Armstrong on their project, a verse or a hook. He also became one of the most sought performing artists between 2011 and 2014, touring all corners of Malawi as well as Johannesburg and Cape Town, South Africa. Before he released an Afro-R&B album titled “Ndele” in 2012, the singer had already worked with Malawi’s urban music icons namely Maskal, Tigris, BarryOne, Cyclone, Rina, Piksy, Young Kay and Diktator. He also did a song called “Musiye Ayende” together with Zambia’s music outfits Dalisoul and Afunika. Armstrong has appeared and performed at the country’s top music festivals including the Lake of Stars, Sand Music Festival, Blantyre Arts Festival, the UMP Festival and Mwezi Wawala Arts Festival. At such events, he has shared the stage with the continent’s feted artists among them Zimbabwe’s Oliver Mtukudzi, Mali’s Salif Keita, South Africa’s Freshlyground, Professor and AKA, Nigeria’s Naeto C and Zambia’s Organised Family and Mampi. On the local scene he has shared the mic with the likes of Lucius Banda, Black Missionaries, Skeffa Chimoto, Maskal, Piksy, Lulu, among others. He was named among the Top 10 Malawian musicians by the City of Stars Music Festival. In 2014, Armstrong got two nominations in the inaugural Malawi Music Awards for the songs that came out between 2012-2013, and was nominated for Best SONG 2012-2013 and Most Popular Ringtone. The nominations came just after Armstrong had announced his switch to Gospel music and the subsequent change of his stage name to Onesimus, which was followed by the release of his first gospel tracks called “Wayankha”, “Higher Higher” and “Ndilandireni” under the guidance of Malawi’s renowned Prophet Shepherd Bushiri. He is currently working on his debut Gospel album in South Africa where he is currently based.